Question of the Week: Imagine there is some calamity and all makeup production ceases. You only have what is left in your stash. What kind of makeup will you run out of first and what kind of makeup will you run out of last? Answer – I will never run out of red lipstick, I have far too many for one woman and it makes me feel all sorts of guilty at the pure excess when I look at my collection. The first thing I would run out of would be my Illamasqua eyebrow powder, I don’t buy backups, I only like one shade and I use it everyday. Beauty Junkies Unite – If you’re attending a wedding this spring/summer, or part of the bridal party—don’t miss essie’s new Bridal Collection 2013 for absolutely lovely nails! Clumps of Mascara – reviewed a waterproof mascara but it wasn’t what she expected. EauMG – Behold! There’s finally a niche perfume subscription program that will deliver 3 niche perfume samples right to your door! Here’s Victoria’s impressions of Olfactif. Gouldylox Reviews – It’s Chic Week at Sephora, which means 15% off of everything. What to haul? Here is what I’m hoping to snag! Lipglossiping – goes ga-ga over a beautifully demure grey nail polish that’s both stylish and work appropriate. My Beauty Bunny – The life of a beauty blogger isn’t exactly glamorous – but this past week sure was. Take a peek at my Beauty Event Wrap Up, including beauty treatments, fancy jewels, LuckyFabb West and a meeting with the one and only Betsey Johnson – squee! Nouveau Cheap – The new Maybelline Summer 2013 Limited Edition Color Tattoos have landed!. Come check out some reader-submitted swatches to see the duochrome goodness for yourself. Pink Sith – The BECCA Ultimate Eye Colour Palette in Eclipsed has sated Pink Sith’s desire for an olive green eyeshadow…or has it? Prime Beauty – is loving her soft, silky hair after using WEN Cleansing Conditioner. The limited edition Spring Gardenia Green Tea scent is perfect for this time of year. 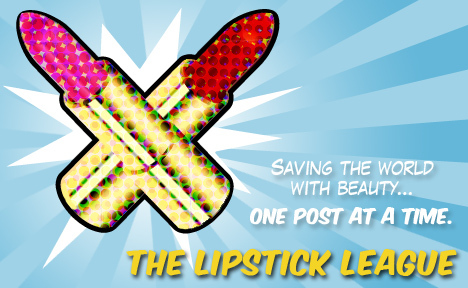 And…because she loves her readers so much, she is a giving away a bottle too! Phyrra – is groovy, baby, with her new Fyrinnae 1960s Retro Collection review! Vampy Varnish – wants to EAT some of the goodies in the new MAC Baked Beauties collection for summer! we heart this – we’re not pastel kind of girls, but the China Glaze Avant Garden launch of Pastel Petals is making us feel a bit flower child-y. Guest Post of the Week, as chosen by Beauty Junkies Unite – My favorite style blogger, Sydne Summer has THE BEST style blog around! I love the series guide she’s doing on trends from A-Z, and this week she explores the letter “G”, for green. See how to pop this color of the year into your wardrobe seamlessly. What kind of makeup would you run out of first and what kind of makeup would you run out of last?